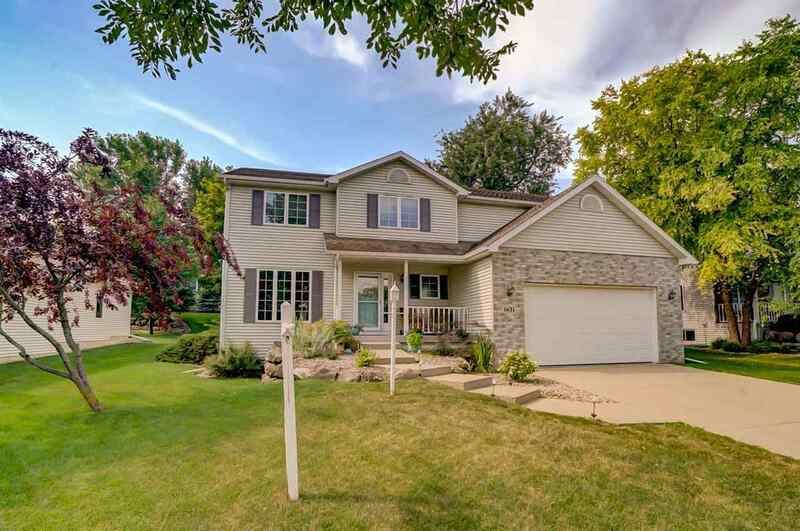 Pristine, 4 bedroom home in Middleton. Beautifully maintained and updated with distinctive remodeled kitchen and bathrooms featuring modern custom cabinets, newer kitchen appliances, and tankless water heater. Mudroom, formal dining and office on first floor. Upper level boasts 4 spacious bedrooms, including master suite with large walk-in closet and convenient laundry room. Interior includes hardwood flooring, luxury vinyl tile and built-ins. Finished basement offers rec area, full bath and craft area. Limited Home Warranty. Easy walk to pheasant branch preserve, schools and community pool. Items Included: Window Treatments, Range/Oven, Refrigerator, Washer, Dryer, Water Softener.